Please be aware that you will not be able to use your PayasUgym class for this club to attend any of the classes. Pools on the Park Richmond is a unique Gym & Leisure club which caters for all the family's needs and is located in superb surroundings on the famous Old Deer Park close to Richmond Train Station. 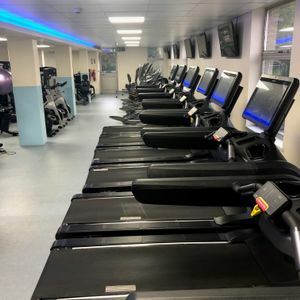 The fully equipped gymnasium offers cardiovascular, resistance, core stability and free weights equipment and fully qualified friendly instructors will help you reach your goals. 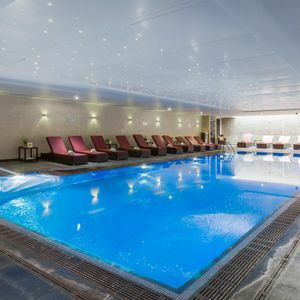 The site also offers a large indoor swimming pool, large outdoor swimming pool with grounds, spa, sauna and steam room. 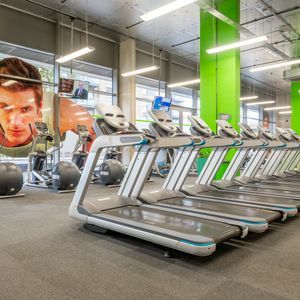 You can also take advantage of the huge range of facilities and activities available onsite which include 75 Group Fitness Classes. Please be aware that these classes are available at an additional cost and will need to be booked directly through the club. The Aquarius Beauty Spa specialises in Murad face and body treatments. Once all the hard work is over you can have a snack, meal or refreshments in Cafe Sisi. Basic service. Easy to use gym. Spa is a bit shabby. Could do with more TRX straps. Been a few times on the odd occasion. Staff are low key / lucky if you get acknowledged. Great place if you want to exercise in piece and quiet. Gym equipment is a little dated. Great gym, large pool, sauna and spa great! Nice gym with almost everything you need. I like the location and is not very busy so you can work out without queuing. I was really impressed with pools on the park. The members changing rooms were very luxurious and have everything you could need. The club had a lovely Jacuzzi, steam room and sauna. There's a good selection of classes on offer and a nice gym. I look forward to using the outdoor pool in the summer! 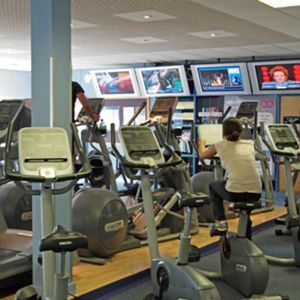 A family orientated centre with a health suite that includes a jacuzzi and sauna. The facilities are good and they are soon to open an outdoor pool. Only downside was the layout, which meant you had to walk through reception to get to the sauna from the pool area. Great for swimming - huge pool and good facilities. Sauna / jacuzzi included too. natural light, good space for matt work. dated machines but clean easy to use.